The YMCA has a wonderful program for fathers and daughters called the “Y-Princess” program. This was originally an American Indian themed program but is now being transitioned to an adventure theme. 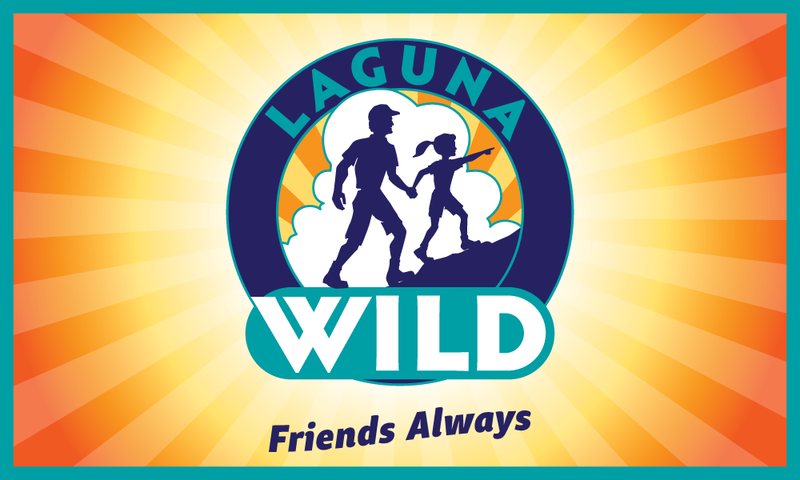 The YMCA Laguna Nation needed a new logo to go along with their new adventure name the Laguna Wild. Our solution was to avoid designs that would confuse people into thinking that this was a theme park. The name is not descriptive of what type of organization this is so the logo needed to communicate that. Our solution was to use a silhouette of a dad and daughter hiking up a hill holding hands. The girl is leading the dad as a metaphor for the growth of the girl and her relationship to her father during their time with the program. The hands become the focal point and symbolic of the meaning of the program. Design of clothing, signage and banners.